Learn how to permanently delete projects from your Account. 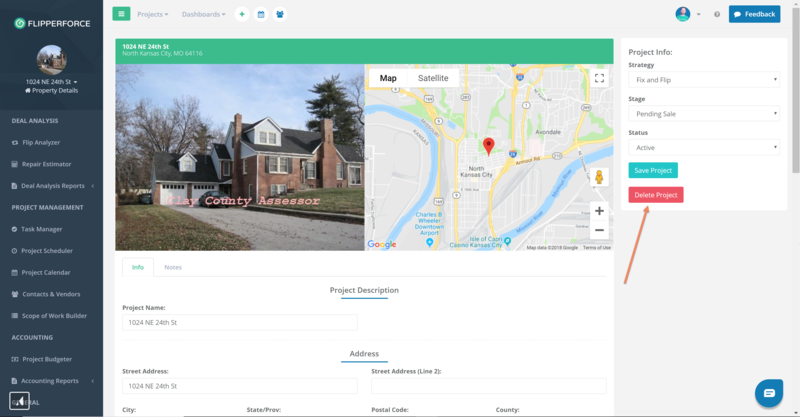 Go to the Property Details page for the project that you want to delete. On the right hand side you will see a Project Status panel, with a Delete Project button.